Remember a little while ago that I promised to go through the Bible and find all the references made to living forever, eternal life and life everlasting and bundle them up in a book? This book is now its way and you can sign up here to be notified when the FREE promo kindle is available. I am celebrating the fact that I have successfully written and published my book and that My Story of Survival became an Amazon Bestseller in more than seven categories! If you want to skip the whole read and sign up for the FREE video course on how to publish your very own Bestselling Book you can do so here. If you want to view the FREE webinar on how to become a published author in 90 days, you can do so here. At the bottom of the page I offer four free bonuses, including my complete launch plan on how I became Best Selling Author. If you’ve read My Story of Survival, you know that I burned out pretty good and due to neglecting my health for a long time nearly ended up on the scrapheap. But GOD is good and heard my prayers and now I have all this bonus time available to write books. I felt that I needed to tell what happened to me as a warning to other people not to neglect their health, because life is very precious and none of us is invincible. When I started off writing the book I didn’t particularly enjoy what I was doing because, let’s face it, why write about illness once you are starting to feel better? However, during the process of writing the book I got excited that little ol’ me would be able to help some people and possibly even prevent others from getting sick, just by telling my story. This is indeed what happened, and I cannot even begin to tell you how happy that makes me. Here are a few reviews from the UK. I got hold of this book for a friend of mine that has the same type of problem as Mimi. I think the book is very useful for people discovering how your bodies react to food. I am sure this book will help my friend. I recommend this book to anyone who has any kind of physical or emotional eating disorder. I gave it 4 out of 5 because I would like it to be longer. I hope the author writes more. Some useful life lessons and nutritional advice. Also spiritually inspiring. Inspiring book to design your own health diet plan. I love this book. It is based on author’s experience of food intolerances. I find it is full of great information and notes on healthy diet which can be beneficial for everyone. All the way from the other side of the planet people are reading what I am writing down and gaining some benefit. How cool is that? For long periods of time I couldn’t even handle the flickering of a computer screen or the soft buzzing of a monitor. I wasn’t able to sit up or lift my hands for any length of time. Who would have thought that I be writing my own book? What I never expected in a million years is that I would actually enjoy the whole process of becoming a published author. Because that is what I am now; a published author. I am not only a published, but a bestselling author as well. In seven categories! I am not saying this to brag. I am telling you because I want to share how much fun it is to be able to share my story so that others can benefit. I have not had this much FUN in a long long time and I just want to share! Because I enjoyed the whole process so much I decided to partner with the Self-Publishing School which helped me publish my very first bestseller and want to let you know about the same opportunity as well. The School is having a special on at the moment and you can click here to receive a free video series on how to publish your own book. First it’ll show you the exact blueprint to go from blank page to bestselling author in just 90 days — even if you’re busy, bad at writing, or don’t know where to start. The video then tells you how to build momentum and finally cross out “write a book” on your bucket list. The video includes the Bestselling Book Launch Blueprint: How to turn your book into a bestseller, including Amazon’s “Rule of 3” Secret that maximizes sales. Chandler also discusses case studies of bestselling authors and details the kind of royalty checks they have coming in every month. I had already pretty much written my book when I signed up with SPS. Why would you need to do a course on publishing a book if you have already written one? You don’t have to. You can write to traditional publishers and I will pray with you that they’ll take you on as an author. You can publish as an Indie Publisher with Smashwords, Apple, Amazon, Lulu and a whole host of other publishers out there without having anyone help you. And I’ll wish you good luck and sincerely hope that it works out for you. You can google anything nowadays and there are endless guides on how to publish your own book. As a matter of fact I just wrote my own official launch plan and you will get a free copy of this if you join my launch team. What is so terrific about this School is that there is a proven Blueprint to follow and they help you from A to Z. They even help you with what to write about if you would like to become a published author, but do not know what to write about. I had already written around 12,000 words of my book when I signed up with SPS. I had already paid for another course when I signed up with SPS. But there was something about this enthusiastic young kid, Chandler Bolt, that appealed to me. And without overthinking it too much, I signed up because there is a solid money back guarantee. I am so pleased I did. It is without a shadow of a doubt one of the most FUN experiences of my life that I’ve now published a book and have people read and appreciate this. And as a bonus for my efforts, I’ve received a bestselling banner from Amazon. How cool is that! After three months, School is over. My book is now published, I get to keep the course and can repeat the process as often as I like. But I signed up to stay part of the group cause I am having too much FUN. I wanted to let you know about this because, if you’re like me and always wanted to write and publish a book but didn’t know how-to, I’d love you to join me as a fellow student at SPS. The course is FUN, the school is FUN, the TEAM is awesome and the students … each and every one of them hard working authors and/or authors to be. I have never before read so many good books in my life and met so many FUN people. Such a treat. I love everything about it. I’ll give you a quick tour of why I like SPS so much. 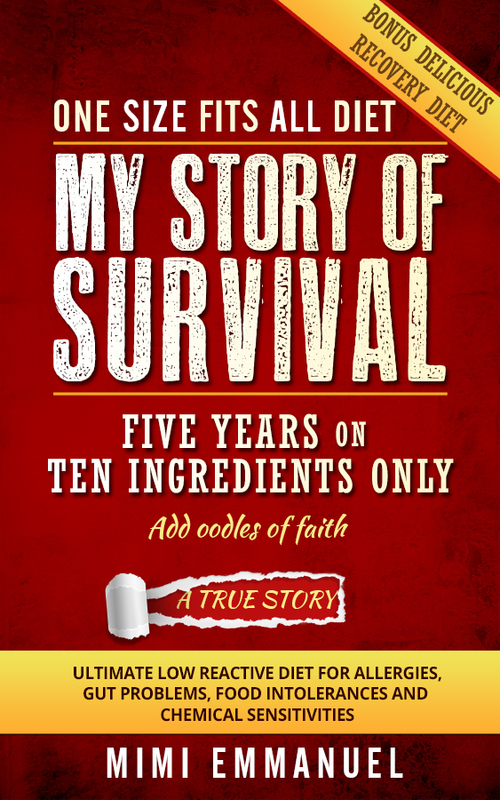 Did I tell you that SPS helped me publish my first book My Story of Survival? I did, didn’t I? My Story of Survival was published on 29.11.2015. On 06.12.2015, that’s right, just one week later my book becomes number one bestseller in the category of Digestive Organs. Shortly after My Story of Survival ranks number 2 in Short Reads; Health, Fitness & Dieting. Woopdiedoo! About one week later My Story of Survival ranks number one under Amazon Best Sellers in Food Allergies on 16.12.2015. A day later on 17.12.2015, My Story of Survival lists number one under Amazon Best Sellers in Science and Math. My daughter says that this is out of 226,303 books. I don’t know if this is true. I didn’t check the numbers. And at some stage my book ranked #222 in the Free Kindle Store. Yeeaahhh!!! Are you getting excited with me? Because what is possible for me, is possible for you too. Less than ten days later on 26.10.2015 My Story of Survival ranks in another relevant category #1 Best Seller under Irritable Bowel Syndrome. Why is this so good? This is so good because all these categories are relevant to the content of my book and anyone who is suffering from any of these conditions would have come across my book if they were googling for this. That means that my wish and prayer of being able to help people, is being answered. Amazon #1 Best Seller under Chronic Pain on 26.12.2015. And that just was like a huge band-aid on wounds for me and I couldn’t feel as much as a twinge of pain all day long on the 26th. Amazon #1 Best Seller in Viral Diseases. Nothing wrong with going viral, is there? So what if I didn’t agree with any of the labels I was given? The conditions attached to these labels still affect me one way or another and these labels are still being handed out to people today. Thanks to Amazon, customers who are affected by similar labels can find My Story of Survival and hopefully benefit from reading it and join my pursuit for a clean bill of health. I have only listed the #1 rankings. At various times My Story of Survival ranked also under Best sellers in the categories of Medical Books- Medicine, Diseases and Physical ailments and Nutrition. To be honest I couldn’t quite keep up with where my book was travelling. Still ranking #1 half way through February 2016 and now also in Reference books. On 29.12.2015 My Story of Survival received the Amazon Best Sellers badge in the category of Self-Help books. I know that I had already mentioned that, but it is such a pretty banner I just couldn’t resist finishing on such a good note. Because that self-help was only possible for me due to the oodles of faith. Whilst Amazon is taking care of business I can continue writing my next book. Did you know that GOD hath made me to laugh? Now you know another reason why this is so!! All I got to say now is Praise the Lord for being so good to me!! Meanwhile, you can let me know if you want to receive a free kindle of my next book Live Forever how-to. 4. FREE copy of Mimi’s Launch Plan. My Launch Plan is my official guide to easy peasy 31 steps on how I successfully and ‘flawlessly’ published my book. This plan includes an easy shopping guide for healthy and tasty foods and an elimination guide as well as 31 Useful Facts and 31 FUN Tips. I wrote My Story of Survival and contributed stories to Glimpses of Light and Like A Girl and the profits of the sales of these anthologies go to good causes such as girl’s education and a Society for the Blind. And you can click here to receive the FREE SPS video on how to write and successfully publish your very own Bestseller this year! And here to reserve a seat for the FREE webinar! ABOUT THIS BLOG – We’re researching the truth of living forever according to GOD’s Holy Word; Sola Scripture. Popular opinion tells us that everyone who ‘believes’ and has ‘faith’ will go to heaven. Is this true? I decided to ask the prophets about the truth of it all. To be one of the first people to receive a free kindle at my next book launch you can click here.